people take different roads seeking fulfillment and happiness... just because they're not on your road doesn't mean they've gotten lost. I am not a true technophobe or Luddite but I am a “resister” of new technology. It comes down to time with me. I have to believe that the new technology will be of genuine benefit in order to be willing to give up my time learning how to understand it. 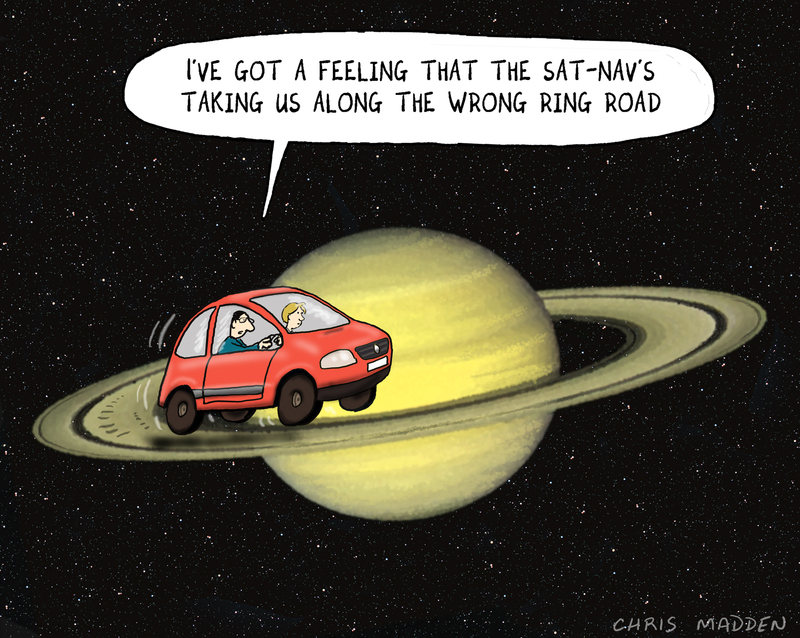 With sat nav I was never convinced. But then I bought a car that came with sat nav and decided to invest in working out how to use it. What a revelation! It unleashed my hitherto unknown pioneer and I have since travelled the length and breadth of the country and beyond. I realised that charting unknown territory had previously induced in me a fear of becoming lost that had paralysed my spirit of adventure. Obviously, it goes without saying that the fear of being lost was worthy of further investigation, but this is not the place for psycho analysis. My new found freedom and confidence on the road was a cause for personal celebration and as a direct result of this liberation my life has been manifestly enriched. Distance no object, destination not daunting. Perhaps in the early days of satellite navigation technology it was less than reliable, hence the untold number of jokes; but I have never experienced problems. I have another car now and this one has sat nav with bells on. Sitting in the driving seat and armed with a healthy dose of common sense I feel I could drive to the moon. But above all else, in a worst case scenario I know I will always be able to get home. Thanks bro for giving me the idea for this blog entry, and for making me laugh. Lots.